how kindness walks in the world? the circle of my mouth to take it in. Because both of my parents were diagnosed with major illnesses in their thirties—my father with Hepatitis C, and my mother with multiple sclerosis—I have had to be the parent and caretaker for each of them at various times over the years. Just a few months back, I found myself on the floor of my mother’s hospital room after one of her surgeries, slipping on the socks she could no longer put on herself, holding each of her feet tenderly in my hands and sliding the cotton over her skin. So often I have believed that I was the teacher, when I was the one being taught. 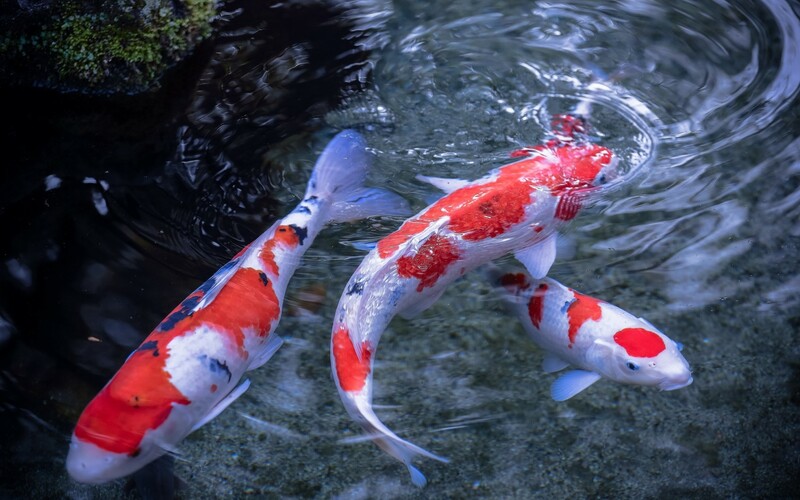 So often I have believed that I was the caretaker, in control of things, when I was the one being cared for—one of “the lucky koi,” as Marjorie Saiser puts it so well. In her loving poem, a mother discovers how to live with greater surrender, accepting nourishment wherever she can find it, even if it comes from the hand of a daughter she believed she would always need to “shape and nurture” and feed. As each of us gets older, our roles will shift back and forth, no matter the relationship, because vulnerability goes both ways, and because life is always trying to show us “how kindness walks in the world.” Only then do we begin to see how difficult it can be not just to give kindness, but also to accept it with open arms and an open heart.